Why is Cyanide Wastewater Treatment Important? Several modern industrial processes produce cyanide-containing wastes, including metal plating, case hardening of steel, and refining of gold and silver ores. 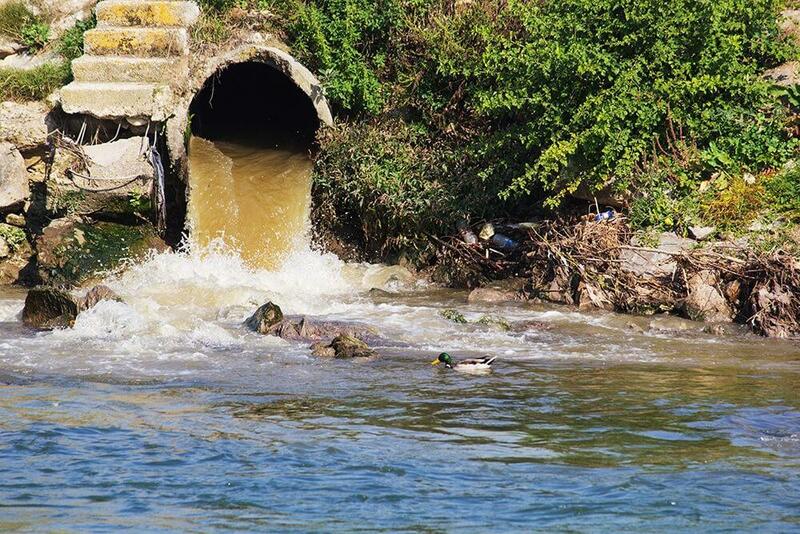 Wastewater from these processes that contains even trace amounts of cyanide must be treated before discharge into sewage systems. Cyanide wastewater treatment is critical, because cyanide wastes are toxic to living organisms. Specifically, cyanide may reduce or eliminate oxygen utilization in organisms, including human beings, making cyanide poisoning potentially fatal. Aquatic life, including microorganisms involved in natural water purification streams, is particularly susceptible to cyanide poisoning. Cyanide toxicity presents a direct human hazard if cyanide containing wastes enter agricultural or municipal water supplies. A lethal dose of cyanide in human beings is approximately 4mg/lb of body weight. The predominant mode of cyanide wastewater treatment is alkaline chlorination. This treatment proceeds in two steps. First, cyanide is oxidized to cyanate by sodium hypochlorite. This reaction may be brought about through direct addition of sodium hypochlorite or by addition of chlorine gas and sodium hydroxide. In the second step, cyanate is oxidized to carbon dioxide and nitrogen by further addition of the chosen oxidizing agents. In order to ensure that the alkaline chlorination process proceeds safely and efficiently, it is important to monitor pH and ORP during each oxidation step. During the oxidation of cyanide to cyanate, pH control is critical. If pH is too low (acidic) during this step, the reaction may produce toxic cyanogen chloride. Poor pH control can also lead to reaction inefficiency: sub-optimal pH may negatively impact reaction speed and prompt addition of oxidation reactants in excess of stoichiometric requirements. 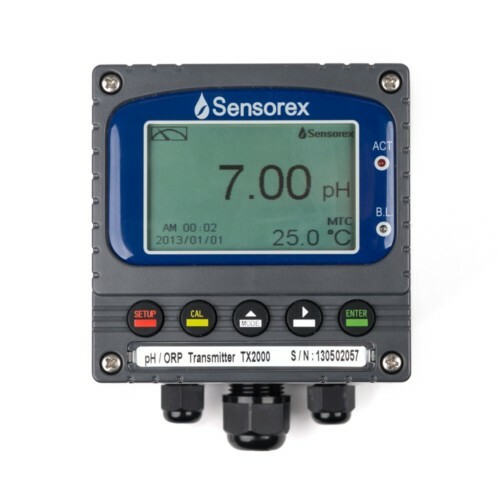 A typical cyanide wastewater treatment monitoring system will consist of two pH sensors, two ORP sensors, and four controllers. Sensors with well protected reference junctions are an ideal choice for cyanide waste treatment applications, as preventing reference poisoning will extend sensor lifetime. ORP sensors with a gold electrode – as opposed to the usual platinum – are also recommended, as they provide the most accurate measurements for effective reagent control. The Sensorex S8000 series provides a modular cyanide waste treatment solution that can be adapted to fit various system configurations. For maximum sensor lifetime, the S8000 series is designed with Enhanced Reference Path (ERP) technology, creating a complex path to protect the reference cell. Sensor maintenance is also minimized with a self-cleaning flat surface design and quick change replacement cartridges. Deploy the S8000CD pH sensors and S8000CD-ORP-AU gold ORP electrodes with the controller of your choice to optimize your cyanide waste treatment process. If you have any application-specific questions, feel free to Contact Us.